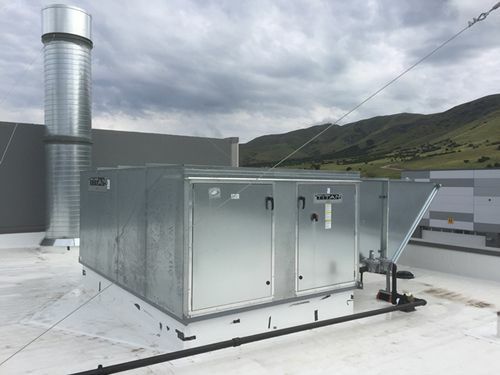 Air Makeup systems provide filtered and tempered replacement air for the exhaust flow of a spray booth and are crucial to the proper functioning of the booth and required by many building departments for an approved permit to install a booth. Air Makeup systems filter outside air and heat the air before discharging into the booth or the general plant area. Our expertise will determine the right air makeup solution for your unique process. Keeping your booth environment free of dust and other contamination is essential to achieving a high quality finished product. Our air makeup system manufacturers offer industry-leading solutions. Finishing Consultants can determine the best make and model for your air makeup needs. We offer a wide variety of collection & filter systems and can develop solutions for any situation. Schedule an onsite visit today to improve your finishing area air makeup system.